Substances may exist in any physical state and those physical states may be altered by manipulation of temperature. 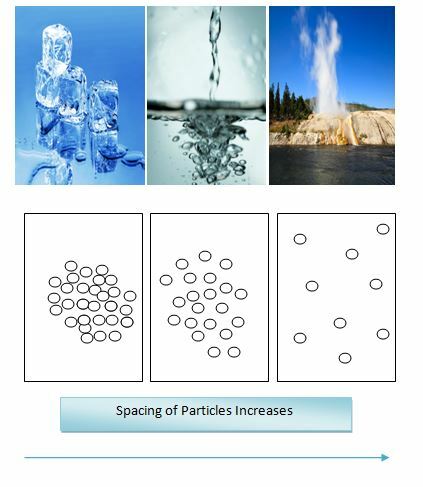 Physical states differ from one another in terms of their level of molecular attraction, which affects the extent of molecular spacing. The greater the attraction, the closer the particles are to one another. This then affects other properties such as density, compressibility, volume, and shape.